Now, tracking contractions is as simple as breathing. "Without this I never would have been so calm, relaxed and happy." See, count, and time your contractions like never before. There’s feeling, and then there’s knowing. Clinically-validated, comfortable and easy to use, Bloomlife monitors real-time uterine activity for contraction frequency, duration, patterns and trends. Which translates into extremely helpful information for you, your partner and your healthcare team. Shoes off. Feet up. Contractions monitored. Conserve your energy for what’s ahead. No rushing to the the doctor’s office for every questionable twinge or scrambling to make arrangements. With Bloomlife you can rest at home, rest assured, and know when the time is right. 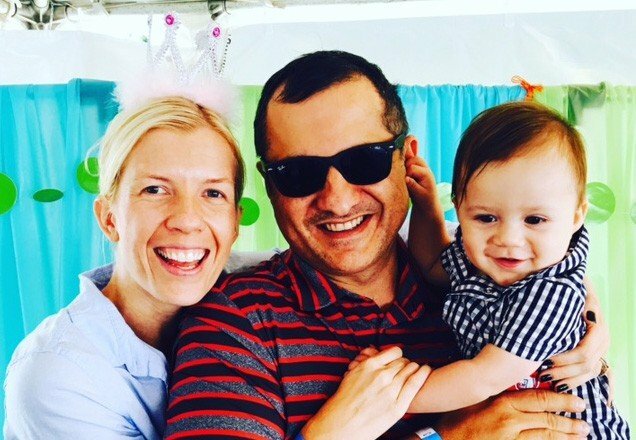 Real moms, real doctors, real stories. 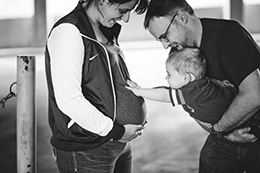 "Bloomlife provided me peace and reduced my anxiety towards the end of my pregnancy." "Bloomlife saved me from traveling to the hospital unnecessarily. It’s worth the peace of mind. " 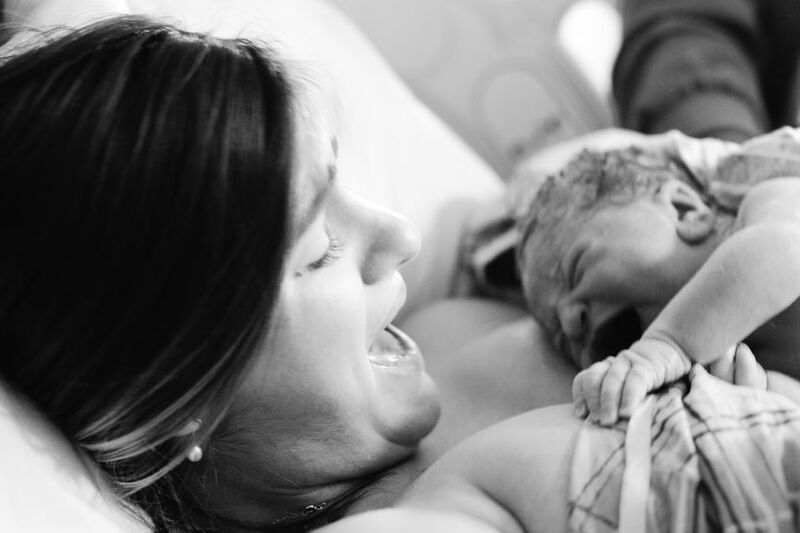 "To have the contractions be on [Bloomlife], finally, I could say 'see I told you!' For the last two pregnancies I just kept getting lectures about Braxton Hicks. Its just so frustrating for me. It was nice to have it validated with Bloomlife." 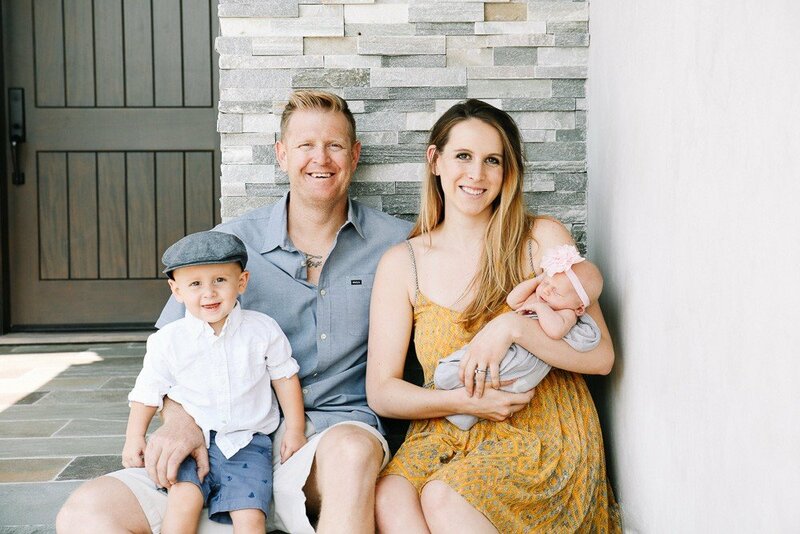 "Bloomlife allows the pregnant mom to access clearly and confidently what can be confusing to some women – WHAT is happening in there? In her body she can feel it, with Bloomlife she can see it and document it." "Track your labor contractions in the comfort of your own home. What has been traditionally done with a watch, personal counting, and a log book, can be done automatically with more accuracy." "What if there were a way to tell if what you’re experiencing is Braxton-Hicks or true labor contractions? San Francisco tech company Bloomlife has a wearable to do just that." 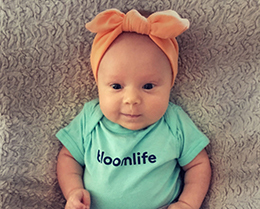 "[Bloomlife] gives parents a clinically proven second opinion about what they are feeling." 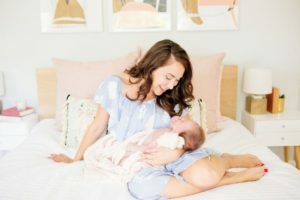 "By simply sticking a patch with a sensor on it to your belly, you can see real-time data on the Bloomlife app that will clue you in to what your contractions mean." "Bloomlife, makers of a clinically validated wearable for pregnant mothers, wants to dig deeper when it comes to the health of the baby and the mother during pregnancy." 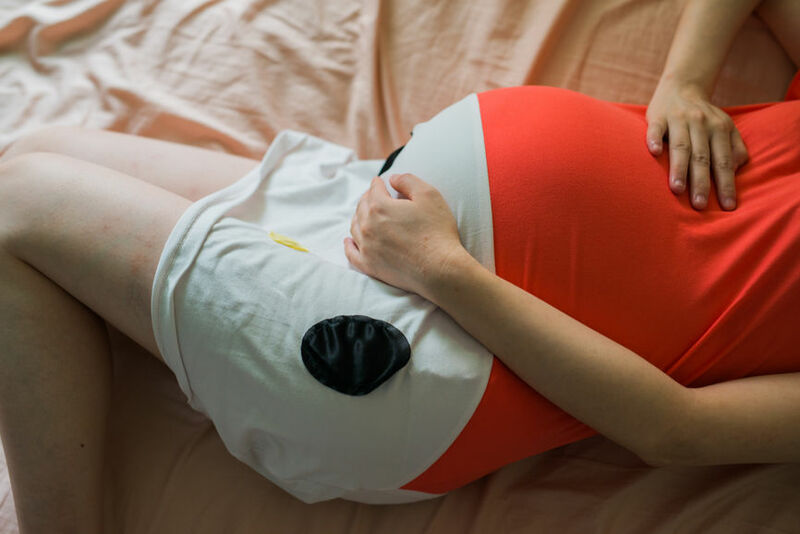 "The San Francisco-based firm has developed a wearable sensor tied to an app that allows expectant moms to track their pregnancy." 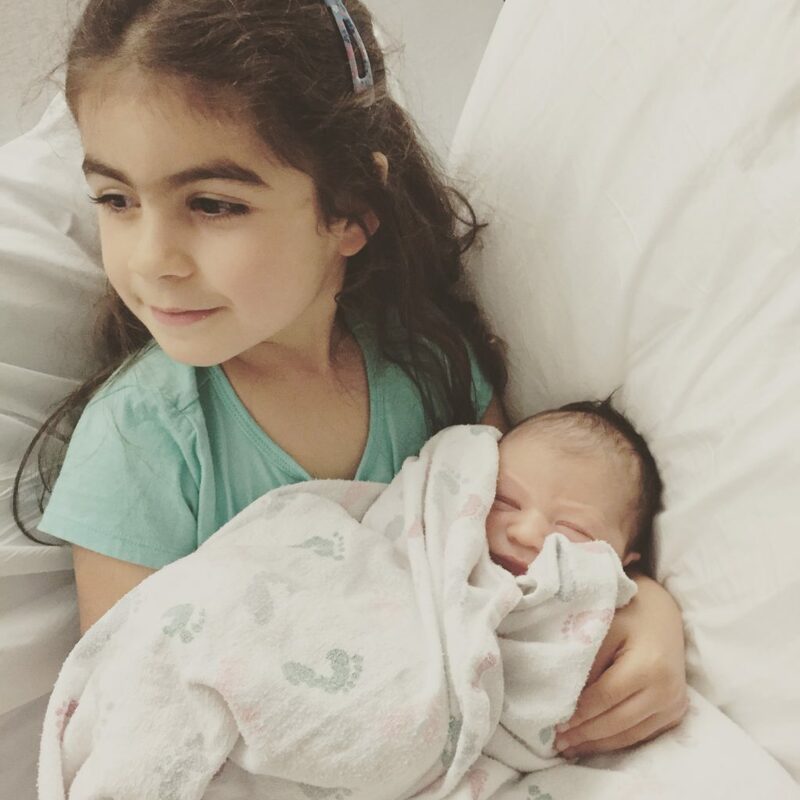 "For first-time mothers trying to track some of these things is guesswork. This is a way of tracking these parameters without the mother doing anything." 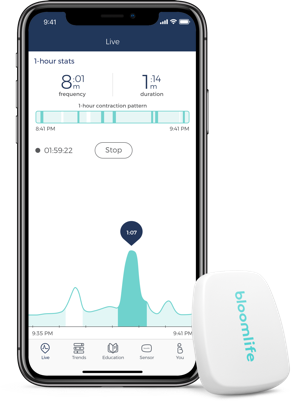 "Bloomlife is a slim, lightweight sensor that moms-to-be can attach to their belly to get automatic feedback and timing of contractions"
"[Bloomlife] is the only product on the market that tracks contractions without any manual data entry." Get it right away or reserve for later. Check out what we’re up to on our publication, Preg U, the smart girl’s guide to pregnancy and parenting. And let us know what topics you want us to explore next!